Iraq has a history rich in contributions to various academic fields, and its universities were the envy of the Middle East thirty years ago. In the early years of Saddam Hussein’s regime, the education system in Iraq was well resourced, globally connected, secular and open to women. University education was free and literacy levels rose from 52 percent in 1977 to 80 percent in 1987. The near collapse of Iraq’s education system was the culmination of a process of decline that gathered pace with the international sanctions regime of the 1990s, culminating in the war of 2003 and its aftermath. Iraqi universities were stripped clean not only of cultural artifacts like books but also of the basic infrastructural items that enabled them to function at all. Due to international sanctions following the 1991 Gulf War, foreign bureaucrats blocked requests for education materials and resources. After the U.S. invaded Iraq, museums and university libraries were looted and many of their cultural artifacts and documents destroyed, despite earlier pleas from the Pentagon’s Office of Reconstruction and Humanitarian Assistance to protect cultural heritage sites in Iraq. Jerry Bremer’s DeBaathification process, initiated in 2003, led to the removal of half the intellectual leadership in academia regardless of whether or not they truly believed in the Baath party. Many professors were kidnapped and assassinated during the violence that followed the US invasion. While the exact number of academics killed is difficult to determine, estimates by journalists range between 160 and 380 by 2006. Female students have meanwhile become targets of threats and intimidation by fundamentalist militia groups. In just three decades, Iraq’s universities, reputedly the best in the Islamic world, were effectively destroyed. Far from the battlefield, American universities have paid a less visible price during the post-9/11 wars. The university system places greater emphasis on military research than it did prior to 9/11 and, as a result, diverts students from careers and researchers from other pressing projects they might pursue. Instead of tackling considerable public health problems such as diabetes and heart disease that kill large numbers of Americans, resources have been skewed towards a preoccupation with bioterrorism (which has killed five Americans since 9/11). 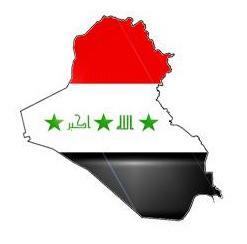 The war in Iraq harmed the Iraqi and American systems in different ways, resulting in the complete degradation of the Iraqi education system and a reallocation of research labor away from important health and other social problems in the United States. As the last American soldiers left Iraq in December, so, too, did many of the journalists who had covered the war, leaving little in the way of media coverage of post-war Iraq. While there were some notable exceptions — including two fine articles by MIT’s John Tirman that asked how many Iraqis had been killed as a result of the US invasion — overall the American press published few articles on the effects of the occupation, especially the consequences for Iraqis. An Academic’s work provides some insight into the state of Iraqi universities. Hugh Gusterson, an anthropologist, is a professor of anthropology and sociology at George Mason University. His expertise is in nuclear culture, international security, and the anthropology of science. He has conducted considerable fieldwork in the United States and Russia, where he studied the culture of nuclear weapon scientists and antinuclear activists. Two of his books encapsulate this work–Nuclear Rites: A Weapons Laboratory at the End of the Cold War (University of California Press, 1996) and People of the Bomb: Portraits of America’s Nuclear Complex (University of Minnesota Press, 2004). He also coedited Why America’s Top Pundits Are Wrong (University of California Press, 2005) and the sequel, The Insecure American (University of California Press, 2009). Previously, he taught in MIT’s Program on Science, Technology, and Society.